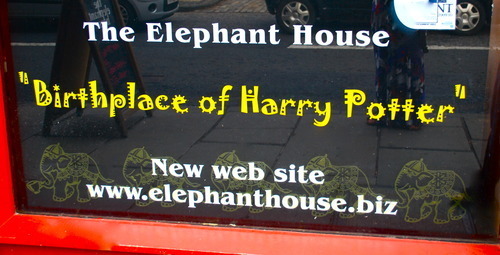 From the buildings that inspired Hogwarts Castle to J.K Rowlings frequent writing spot, Edinburgh is full of Harry Potter magic! As a Harry Potter fan, this made the city even more exciting to me as the guide on my walking tour (a lovely girl from Canada and a big Harry Potter fan herself) pointed out fun facts and locations as we toured the city. 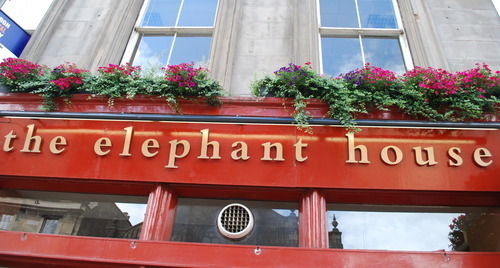 As she was working on the series, Rowling spent a lot of her time writing in the back room of local coffee shop, The Elephant House, so that she could save money by not having to heat her flat during the day. Since she is now considered to be worth as much as the Queen, things have definitely changed! From here, she could gaze out the window and see both Edinburgh Castle and George Heriot’s School (the school Rowling’s children now attend). The dark castle looming high above the city mixed with the renaissance architecture of the school are said to be the inspiration behind Hogwarts castle. Greyfriars graveyard is located just over the fence from George Heriot’s School and apparently when she was stuck or searching for names, she would wander through this graveyard, looking at the graves. Our guide told us that if we followed the stone wall to the very end, we would find a Tom Riddle grave. 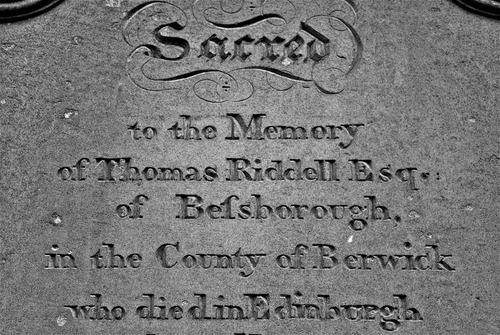 We didn’t have time to search for it on our tour, but after it ended, I went back and found the grave marked Thomas Riddell Esq (and took some photos) before heading to The Elephant House to end my Harry Potter day with a big cup of coffee.